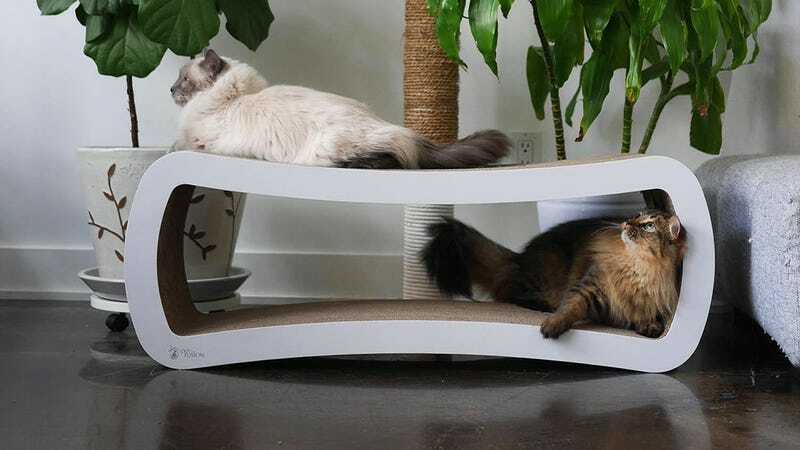 You’ve probably seen PetFusion’s cardboard cat lounger, which attracts cats like moths to a flame, but did you know they have a bigger version too? There’s enough space here for multiple cats to share, and they can even sit inside and sleep there for about 18 hours per day, as is their wont. Normally $80, the jumbo model is down to an all-time low $50 right now, which is the same price as the standard model. Meowy Christmas!